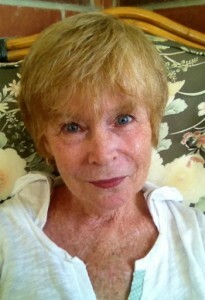 The following is a guest post by Jean Fournier Johnson, author of A Fearful Lie. If you would like to write a guest post on my blog, please send me an e-mail at contact@cecilesune.com. 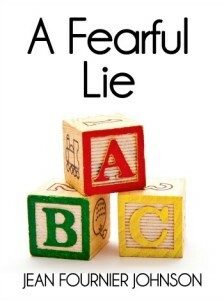 My first hope when I began writing A Fearful Lie was, of course, to create a book that people would enjoy reading. I especially had women’s book clubs in mind. Having been a member of several such clubs over the years, I learned that the works that engendered the most discussion and debate were those that had a moral dilemma at their heart. So I decided to create a story about a tragic mistake, a silence kept and a life lived trying to atone. I imagined that those who read A Fearful Lie would be inspired to think about their own ideas of what is right and what is wrong and to ask what they might have done in Gloria’s place. Most people have strong convictions about morality. Some believe that there is an ultimate morality; others argue that what is moral can depend on the circumstances. But I think that many of us want to believe that we would always do the “right” thing, no matter how hard. I wonder about that. I wonder if given the right circumstances any one of us might not do the “wrong” thing in a moment of panic. I also wanted to explore the idea of atonement. Western culture teaches that when we do something wrong we must find a way to put it right. But again I wonder if that’s ever possible. Can anything Gloria do for others make up for the fact that she killed Joshua and drove away? Certainly she spends fifteen years of her life trying. I will leave it for the reader to decide if she is successful or not. By the time Gloria sees the little boy step out from between the parked cars, it is too late. She hears the sickening thud as her vehicle strikes his body. She remembers that third drink at the bar, her husband’s career as a police officer. Fearful that if she stays she will ruin the lives of those she loves, Gloria drives away. She leaves the child on the sidewalk for his mother to find.